They're still books – only a bit changed. 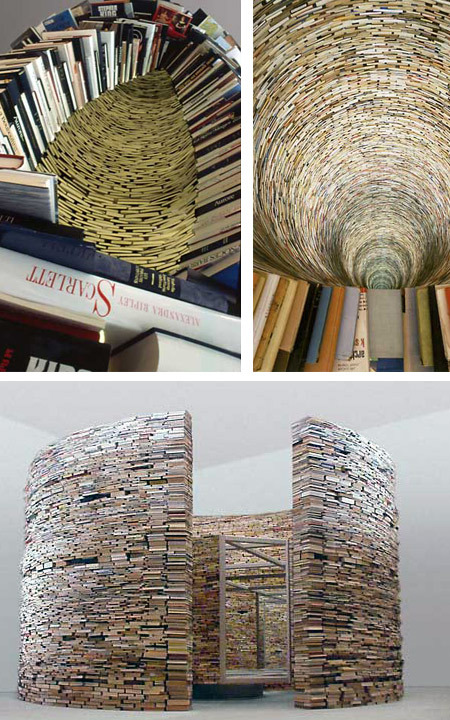 All these books were transformed into visual art, but still they're books. American artist and mathematician with a strange name, Robert The, has made bizarre creations from books for many years. His art works are stored in many private collections and are exhibited in modern museums. Another work of Nick Georgiou's. The human forms are the reflections of a man; two eyes and a mouth are enough to simulate humans (like the smiley for that matter). All at once, Nick can easily turn these old books into sculptures. In a street or a house, all frames are good. 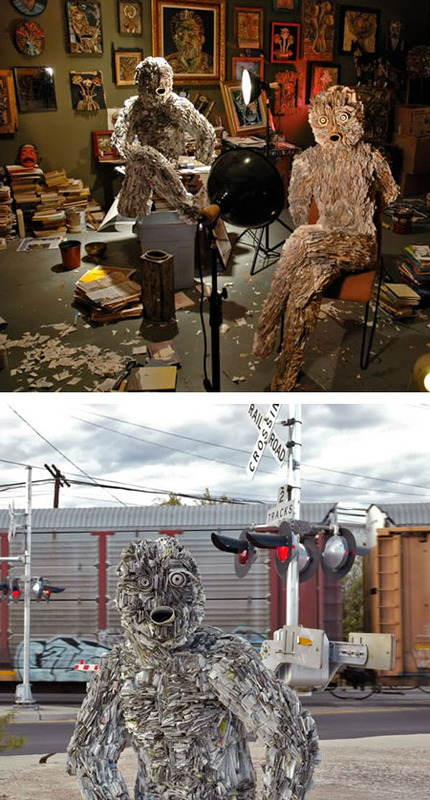 Create human forms from books, this is what Nick Georgiou does. Art comes from the "death" of books with the arrival of e-books and other digital media. 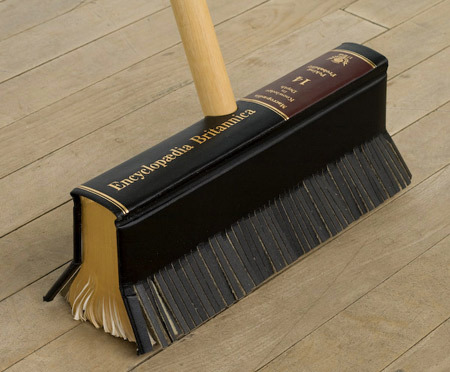 Books and other newspapers are becoming artifacts of the 21st century. So, given that the books are dedicated to Fahrenheit 451, he decided to create sculptures like books. Each one has a shape, a color, a size and this permits him to create anything his imagination suggests. Created by Wim Botha, who was born in 1974, graduated from the University of Pretoria in 1996, and currently lives in Cape Town. 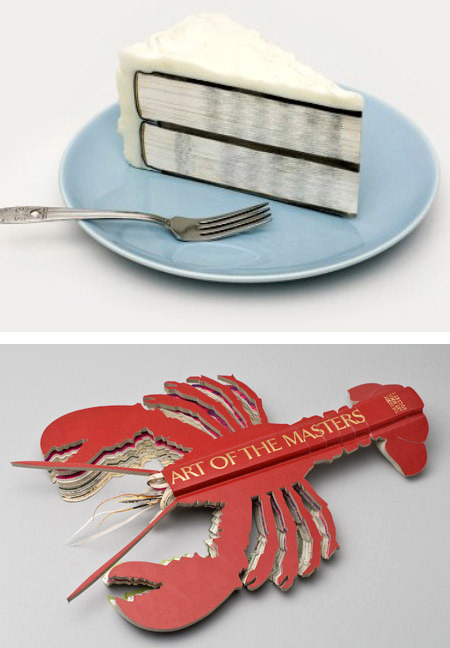 The artist Matej Krén has done numerous such book sculptures. More amazing book-art by Robert The. A book of lights is both a book and a lamp. It was created by Takeshi Ishiguro for Arctecnica. 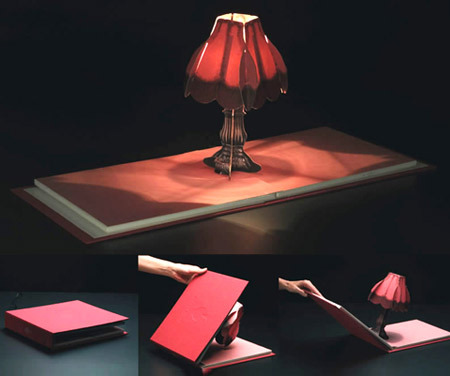 The lamp can be powered by a simple low voltage adapter. 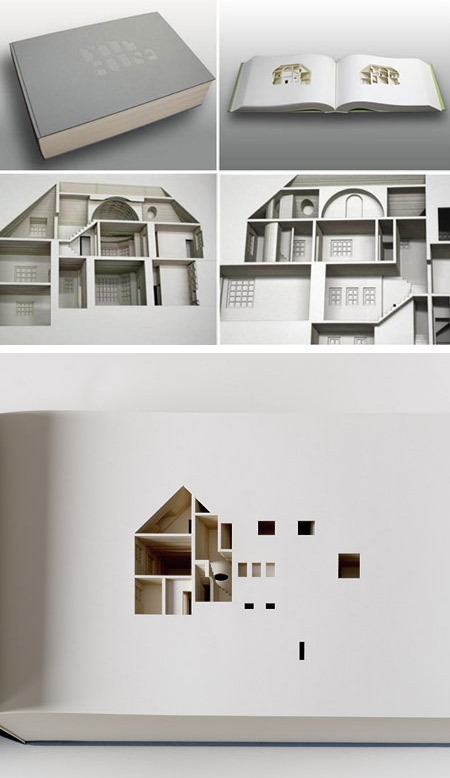 Commissioned by the Library Council of the Museum of Modern Art, Danish architect, Olafur Eliasson, made this beautiful book, with 454 laser-cut leaves, which shows a cross section of his own house in Copenhagen. Read the book and imagine your dream house. Born in Chicago but currently living and working out of Atlanta, Georgia, contemporary artist Brian Dettmer creates incredible works of art with old books and tremendous patience. Using knives, tweezers and surgical tools, Brian meticulously exposes various layers to create his mind-blowing artwork. Dettmer has received critical acclaim around the world and his work can be found in countless galleries and publications. In the spirit of books these works speak in a few images what volumes, literally, cannot. Taking second-hand and discarded English or Japanese texts, these strive to make this overlooked, ignored and often forgotten medium come to a new life. Created by the artist Samantha Huang.